In many cases, we’re trying to use fairly conventional construction techniques. 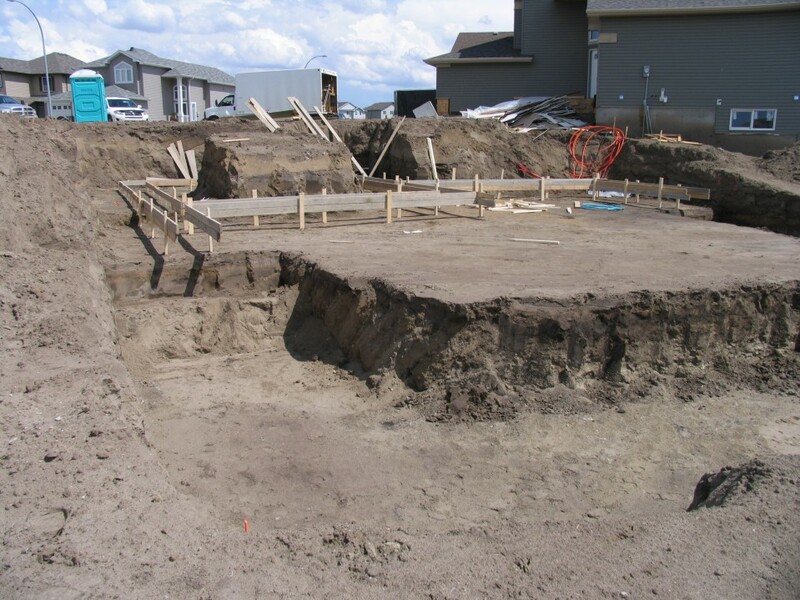 However, the house foundation requires special treatment, as most houses lose significant amounts of heat to the ground. 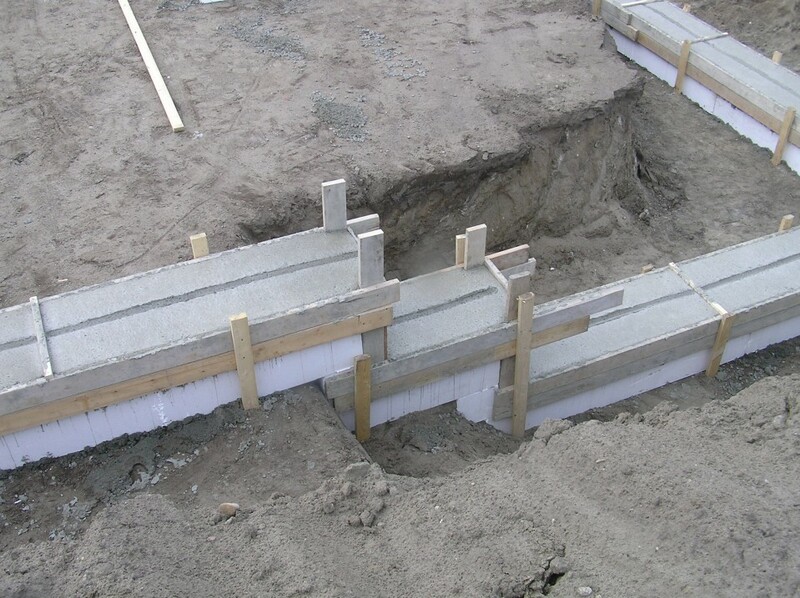 To achieve Passive House, insulation around and below the entire foundation is essentially required. 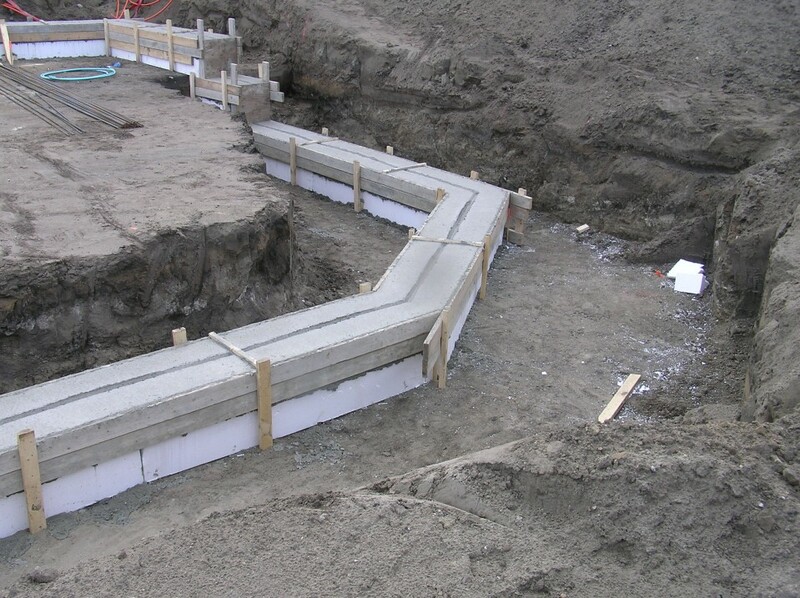 Our details call for a 12″ thick strip of geotechnical-grade EPS insulation beneath the footings (min. 100kPa bearing capacity). 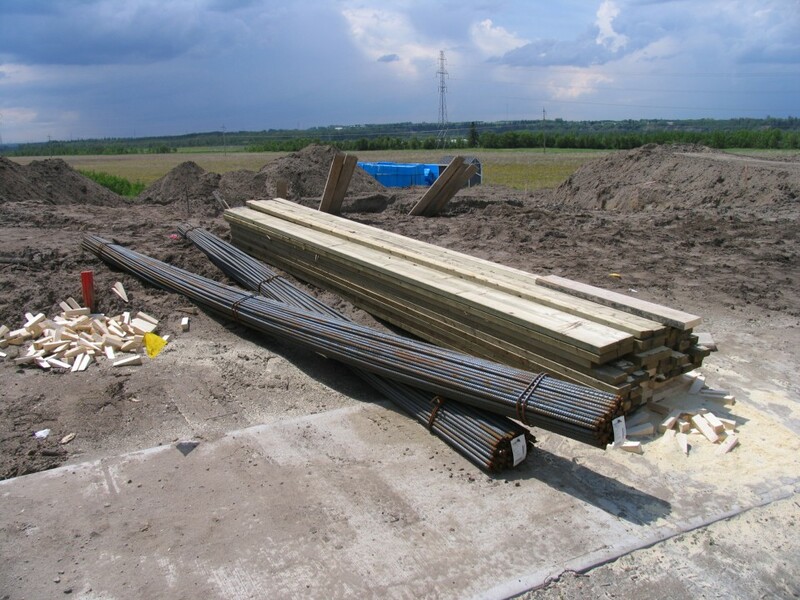 Rebar and wood package, ready to go. Big, beautiful, ominous Alberta summer sky in the distance! 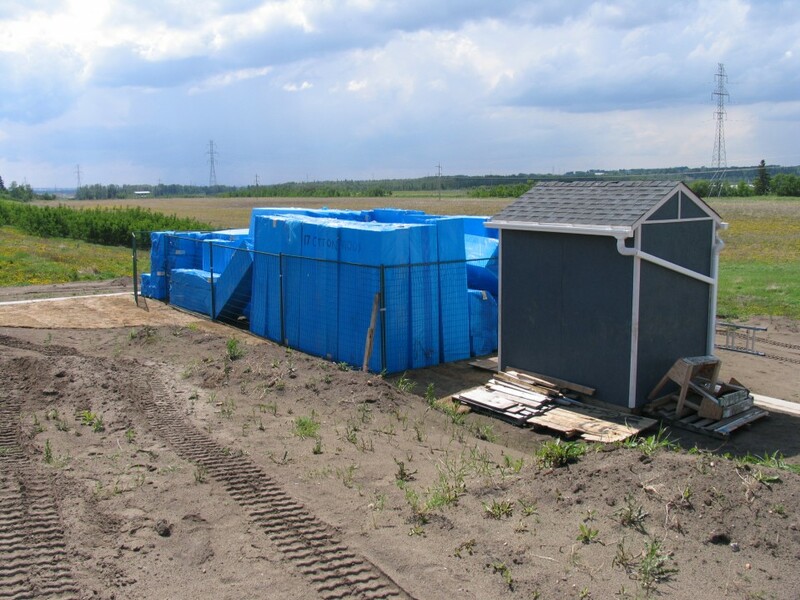 This is another view of the EPS package, and the tool shed that we used to do a test of the house’s exterior colour scheme. 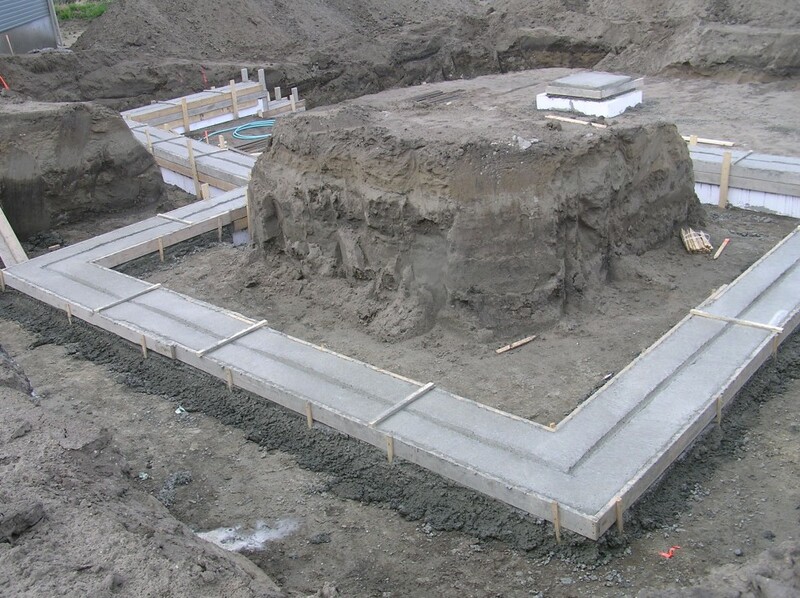 With the EPS placed, the footings are poured up to the required level datums. 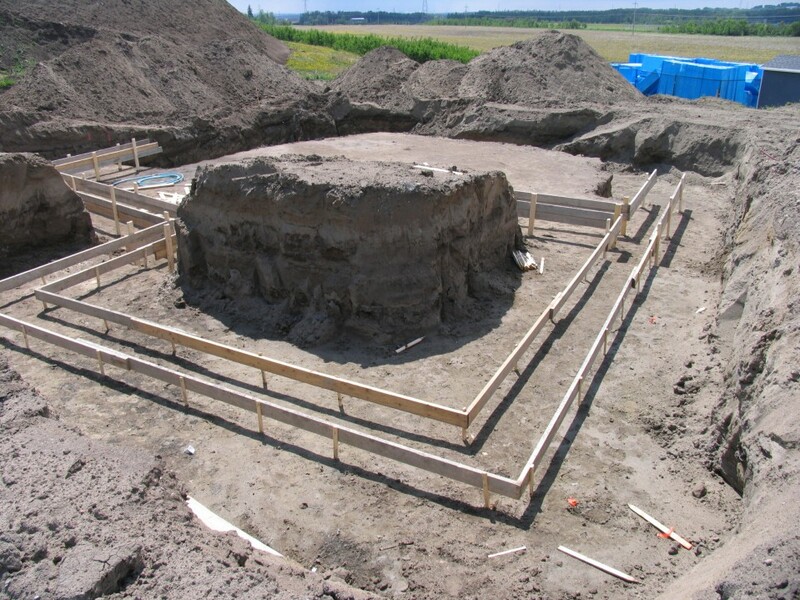 Close-up of the stepped footings. This is the angled corner at the south corner of the house. Both floors will feature large 10’x6′ window openings to capture as much southern solar radiation in the winter months, with relatively deep overhangs to prevent overheating in the summer. How thick is the vertical foam on the footings? 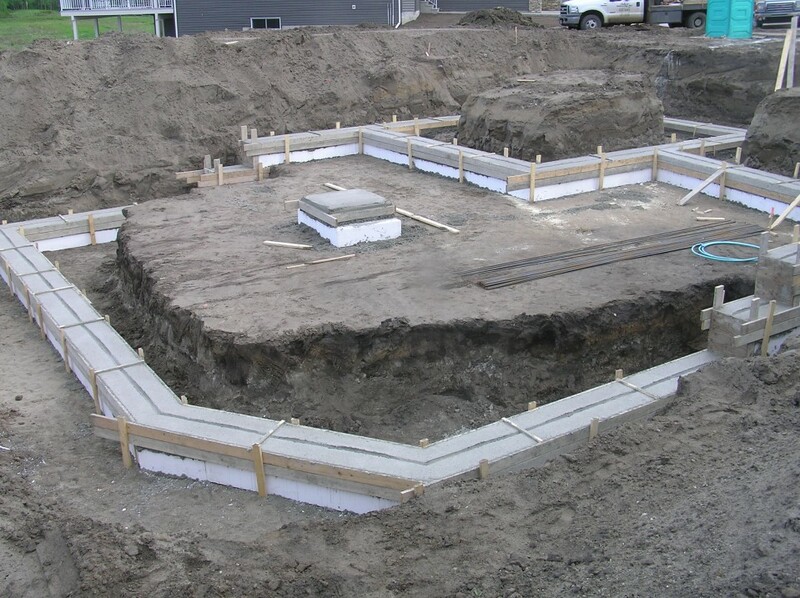 Do you have a photo of the footing form work with foam in place before concrete placement?